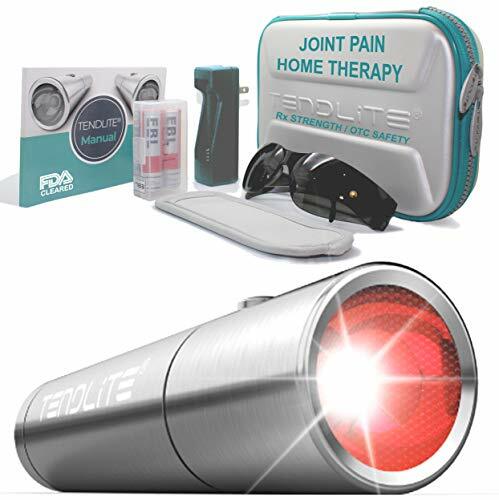 Although Red Light Therapy is still a relatively new field of research, results have shown that it can be beneficial when it comes to pain relief and improving your health. Even skin care can be made easier with the right RLT device. But what is Red Light Therapy and what does it do? This field of medicine is gaining increasing support and soon it will become clear why. We’re giving you all the information you need about how effective this treatment can be as well as the best products for your ailments. And it all started in space. What Happens to Power Density at a Distance? What to Do If the Product Doesn’t List the Wave Length or Power Density? Why can't I simply use a halogen or incandescent bulb as my red light device? Are Red Light Therapy devices HSA & FSA approved? The history of Red Light Therapy (RLT) began in space. Scientists in the early 1990s discovered that the light emitted by red LEDs promoted the cell growth of plants and encouraged photosynthesis. Once it was discovered how beneficial it was for plants, research began on how it could be used in medicine. Ongoing research suggests that Red Light Therapy is useful in alleviating certain skin conditions, but it can also be used to aid serious medical issues. For the time being, it’s unclear how many advantages this treatment has so the future may bring us even more good news. On the other hand, its effectiveness has made it one of the most popular holistic healing choices. Although research is still being done to work out exactly how Red Light Therapy works, it’s thought that the light causes a biochemical effect that strengthens mitochondria. This encourages energy production in the cells which makes them function more effectively. Unlike laser or intense pulsed light therapies, RLT does no damage to the skin which means it’s a healthier alternative. Instead, RLT only penetrates 5mm of the skin in order to regenerate and rejuvenate cells. 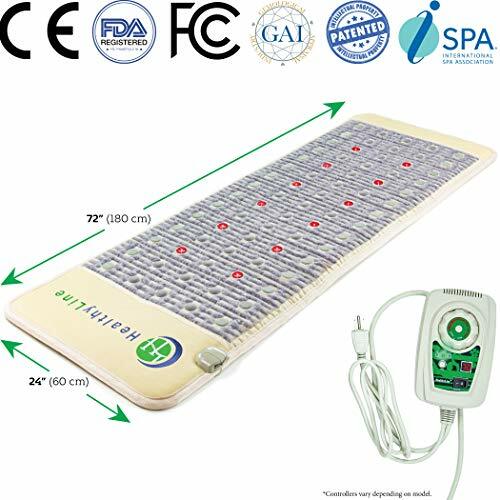 The type of Red Light Therapy device that you purchase will determine what benefits you’ll get. If you’re looking for an RLT device for cosmetic applications, such as alleviating signs of aging, you can often purchase these from gyms, spas or even tanning salons. Other devices that are meant to assist hair growth or pain reduction can be found online. In cases where your treatment is more specific or severe, it’s best to consult a dermatologist to get the right RLT device for you. When treating cancer symptoms, you must always consult your doctor first. The best part is that it’s safe. The unit is FDA approved and has been clinically tested multiple times to ensure that it works & that it won’t cause any damage. The lightweight design includes five soft pads so you’re guaranteed comfort while wearing the device. Your hands are free while your headset is on, so you can continue with daily activities while being treated. Unfortunately, using this product requires patience. Results are usually only visible after four to six months but if you’re dedicated to your treatment, you’ll be successful. It’s also recommended to use the product in conjunction with hair products such as shampoo, minoxidil or finasteride. Although these aren’t necessary, they’ll maximize your results. 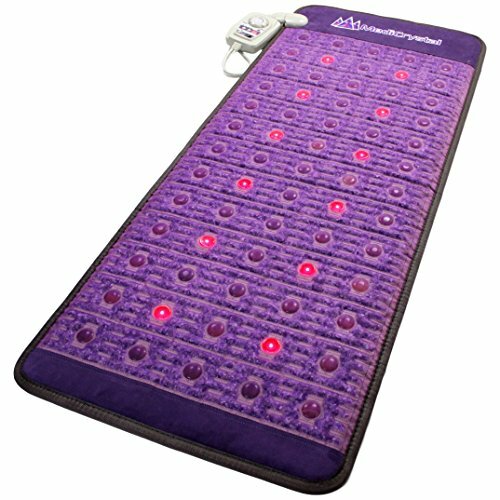 The Far Infrared Amethyst Mat offers full body therapy. It’s made from thousands of natural amethysts from Brazil that release ions and far infrared light when heated. The Zero EMF heating system is entirely safe and there are no chemical smells produced when the product is in use. It’s also designed to maximize relaxation and leave you feeling more revitalized than before. This MediCrystal device is FDA registered so you’re guaranteed safety although this doesn’t mean it must be used as a replacement for medical care. It’s meant to alleviate pain and promote spiritual health, not cure illnesses. Red Light Therapy: Encourages healing processes so you can get relief from ailments such as arthritis or slow healing wounds. It also promotes collagen build-up so your wrinkles and scars can be reduced. Pulsed Electromagnetic Field Therapy (PEMF): Helps to relieve pain, reduce inflammation and increase nutrient intake. It also assists in strengthening your immune system. Far Infrared Therapy: Reduces fatigue while encouraging faster weight loss. Also helps with blood circulation and pressure levels. Negative Ion Therapy: Increase oxygen flow to your brain so biochemical reactions can work more efficiently & your serotonin levels are heightened as well. Hot Stone Therapy: Improves relaxation in order to minimize stress levels and relieves muscle tension so you’re able to detoxify your body more effectively. With five healing therapies, you’re guaranteed to feel more rejuvenated and relaxed than before. Pain and fatigue dissipate & you can even use this product while you’re sleeping. If you’re looking for more targeted Red Light Therapy, the DGYAO Near Infrared LED wrap penetrates tissue deeply so you can ease lower back pain. The pads are quite large so you can cover a wide surface area and get maximum relief. This product also eases joint pain and arthritis, so it’s applicable for elbows & knees as well. The best part is that while you’re using the product your hands are free so you can continue with your daily activities. It’s an excellent device if you want fast pain relief and it also encourages healing, making it ideal for sports injuries. This device is safe to use as long as you don’t exceed a 40-minute session. It’s equipped with safety features so it will switch off after 20 minutes of use. The pads have been built to ensure comfort and they can be held in place with Velcro straps. You don’t have to worry about them slipping out of place. It’s designed to be as easy as possible to use, no matter where you are. Anti-aging creams can often be expensive to replace and ineffective. With the Eternal Beauty Red Light Therapy device, this isn’t an issue. The RLT treatment promotes collagen build up so your skin feels tightened and it also reduces the depth of your wrinkles. Not only does it make you feel and look younger, but it encourages cell renewal so you’re feeling healthier. The variety of light therapies means you can treat every skin issue on your face and neck, whether its wrinkles, pimples or inconsistent tone. Overall, it leaves your skin feeling rejuvenated and helps to kill any bacteria that might cause skin damage. This product is safe to use and is FDA approved. You can even use the New Serum by Eternal Beauty for more rejuvenation of your skin. All you need to do to keep the product clean is wipe it down with a moist towelette. TENDLITE offers a device that gives you immediate pain relief. All you need to do is shine the light on the targeted area for a minute and you’ll immediately start to feel better. The Red Light Therapy assists in improving the healing rate so your muscles can feel more relaxed and less inflamed. This device also assists in encouraging blood flow so your overall mobility is enhanced and you can move around freely without any pain. It’s easy and small enough to use in the comfort of your home and you can even take it with you when you travel. The medical grade stainless steel ensures that it won’t break so you can use it for a long time. Along with being FDA approved, this product has also been recommended by doctors, physical therapists, and sports trainers. It’s perfect to treat injuries that need to be dealt with immediately, although it’s still recommended to always consult a doctor. TENDLITE’s device has four times the power of most other models. The only issue is that it’s expensive for such a small device, but the quality of your results are worth the cost. 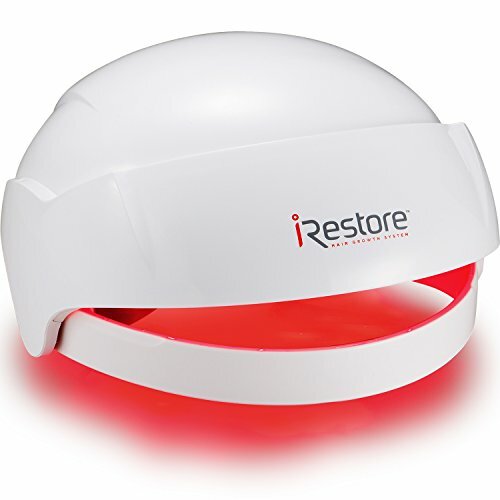 The LightDoctor Red Light Therapy device is considered the most powerful RLT product on the market. 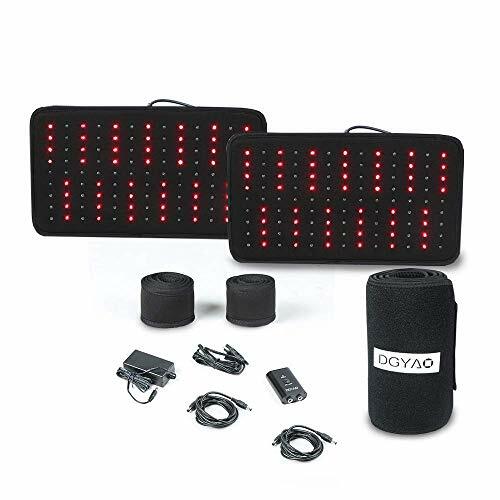 This product has 220 LED lights that are brighter than their competitors’, so you can cover a large surface area quickly and you’re guaranteed pain relief within a few minutes. Not only does it relieve pain, but it also reduces inflammation and swelling. This product works with the cells in the body to encourage natural healing by increasing their energy. It’s appropriate for multiple conditions such as arthritis or sports injuries. Everything is packaged neatly in a carrying case so you can take your treatment with you wherever you go and use it when you need it. 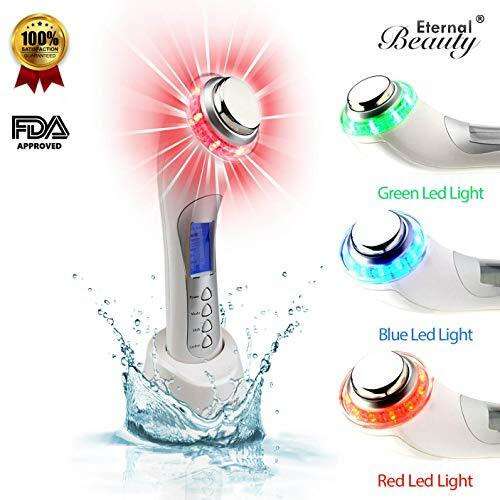 When you buy this product you’re entitled to a Lifetime Email Support technician so you always have answers to your queries, particularly if you want to know more about Red Light Therapy. Although the price may be too hefty for some, it’s considered one of the best RLT products on the market. It’s always important to consider the wavelength of the Red Light Therapy device that you’re buying. The wavelength affects how well your treatment works for certain conditions. 620nm – 700nm: This is the ideal wavelength if you’re only looking for surface treatments such as healing skin conditions. 800nm – 850nm: If you’re looking for deeper healing such as easing joint pain or tissue repair, then this is the wavelength you need. Red light therapy devices can go as high as 1000nm if you’re treatment is more severe, although it’s best to consult a professional before using one of them. Power density refers to how much light is being emitted and is also referred to as irradiance. It must be considered in conjunction with wavelength because even if your device has a high wavelength but low irradiance, it won’t be effective. Power density also impacts how long you have to use the device before you notice any results. For these reasons, the higher the power density the better your device will function. This makes it as important as selecting the right wavelength. As you move away from red light, the power density decreases. This means that it’s not enough to consider how high the irradiance is but you must also take note of how quickly its effectiveness fades at a distance. If the angle of the light is narrower, it means the power density takes longer to dissipate as you move away from the light source. If the product doesn’t list the wavelength or power density before you purchase it, it’s recommended not to buy it. Most likely it will be a low-quality product that won’t have any effect. Even if it’s a high-grade device, without knowing the wavelength or irradiance you risk buying a product that isn’t suited for your specific treatment. Make sure you don’t waste your money. Although these bulbs do emit red light, they also produce heat which reduces the therapeutic benefits and can also result in injuries. It’s best to stick with an LED device. Many RLT devices are HSA and FSA approved. Whether this is a determining factor regarding what device you buy is entirely your decision, but it’s very easy to find one with the right certifications. Although Red Light Therapy is still being researched, all of the products on this list have shown time and time again that this treatment can be effective. Whether you’re looking for full body treatment or simply want to target joint pain, there is a device for you. Along with pain relief, RLT has multitudes of health benefits. It’s time to say goodbye to pain. Are you ready?